Our emergency call out ensures that all maintained customers receive professional service throughout 365 days a year. This is achieved via a message pager. The duty engineer will contact you in under 15 minutes of call. If the need arises the duty engineer will respond and attend to site with the minimum of delay. Using state of the art equipment can bring the benefit of utilising upload/download diagnostics to ascertain the nature of a problem before the engineer visits. This will ensure that the correct equipment is taken to your premises. Additionally this technology can allow routine tasks such as code changes, log reviews and resets to be performed from our office, saving time and money for both parties. 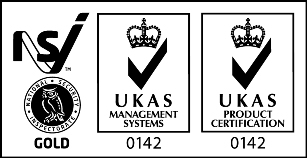 Fortress Alarms has achieved NSI GOLD (formerly Nacoss) and ISO 9001:2008 quality assurance. This will give you the peace of mind that you are dealing with an insurance approved company who are rigorously inspected for both technical and administration procedures.Our in house audits also ensure that we maintain the high standard you expect from us. As our core business revolves around all the security/emergency systems sector, Fortress Alarms is in a position to offer you the complete package for all your commercial needs. This provides many of our commercial customers with a simple, one call policy to deal with any security or emergency system problem. This makes your life simpler and means that you only have to deal with one organization! All systems are installed/maintained to the relevant British or and European Standard as appropriate. CCTV is a well proven means of providing Security and peace of mind to Business and Residential customers. In addition it can be an affective management tool for Business users for checking staff and stock location, emergency/health & safety applications from lone worker to major incident reporting etc. We can provide a single static camera, up to complex multiplexed, multi-camera sites. Technologies such as Digital recording, Motion detection, Automatic tracking, Vehicle identification, coax and data telemetry systems can all be catered for. High speed dome cameras with day/night ability provide extensive coverage with full pan, tilt, zoom and Autofocus. When installed with alarm sensing devises such as contacts on doors, PIR sensors etc, then these units can provide high chance of incident capture on “unmanned” sites. In addition automatic tours can be carried out to numerous preset locations and operators may have facility to manually override via keyboard, joystick, or PC via web or local/wide area networks. Digital Recording is the modern way to capture, store and present video images. These units utilise high quality hard drive units with the ability to store up to 6 months of images depending on the actual hard drives installed. Digital Recorders benefit from instant retrieval of high quality images in a fraction of the time a conventional time lapse recorder would need. Additionally, depending on set up, higher quality Super VHS plus images can be recorded in “event” only modes, thus providing even more useful and quality images to the user. Professional digital recorders can be linked into local/wide area networks, via modem or ADSL/broadband to provide images from virtually anywhere. Network image quality will be dependant upon network speed or modem connection as required. Domestic CCTV systems are now becoming more popular as price verses security become more balanced. High quality, discrete (monochrome or colour) cameras installed via a switcher unit with PIR detection to automatically select camera, record and or bring to Television sets in house are all achievable at acceptable costs. As the price of digital recorders comes down, it is now common to have more professional systems in the home with all the benefits digital recording brings. Budget application for smaller premises utilising line fed systems linked into quad or small multiplexing units can also be catered for. Although these systems are more cost affective, on the whole they do not produce the same quality/resolution of more professional equipment. This is a factor to be considered because recorded medium may only be a quarter the resolution of the “live” which could result in images being unacceptable for Police enquires. All CCTV systems whether they are to be installed or have been installed must now comply with the legal and good practice requirements of the CCTV Code of Practice (July) 2000 within the Data Protection Act 1998. The Code of Practice has the dual purpose of assisting the operators of CCTV systems to understand their legal obligations whilst also reassuring the public about the safeguards that should be in place. In short, this means that you, as a business with a CCTV system (even if you do not record), must register with the Data Protection Commissioner (now called the Information Commissioner). The Information Commissioner maintains a public register that is updated weekly. It currently costs £35.00 to register and you can register on line at dataprotection.gov.uk. This website will give you further details on the Act and other payment options. You can also telephone the Information Commissioner on (01625) 545 700. All of our staff attend various manufacturers' courses to update and enhance their technical skills on a regular basis. Emphasis is placed on learning the principles behind an application and not just the specifics. This provides you with a highly motivated, knowledgeable team of engineers who should always be able to deal with a problem. On the rare occasion that the engineer is unable to solve a problem alone, he/she will seek advice from other members of the team. Regular audits of installation and maintenance are carried out by senior staff. This usually involves on site visits with senior staff ensuring work is carried out in accordance with procedures. Providing NSI GOLD standard installations and maintenance services in various parts of the UK.